Traditional running shoes feature pointy toe boxes that squeeze the toes out of their natural position —increasing risk of bunions, hammertoes and plantar fasciitis. 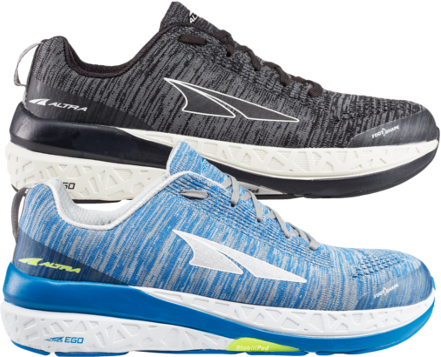 Altra's FootShape™ toe box allows the toes to relax and spread out naturally and the big toe to remain in a straight position. This enhances stability and creates a powerful toe-off to maximize running performance. We wish we could call it some scientific breakthrough, but we're simply giving your foot the working space it needs.